When your dog has hives the owner goes through an emotional period of stress just like the dog is going through. Your dog is having a rough go at it, and the biting and scratching are rubbing the area raw and causing his skin to bleed. You first need to remain calm. The best way to calm yourself down is to realize that most cases of hives on the dog last one day, so it should be over by this time tomorrow. You need to relax and understand if you can not calm your dog down and ease some of his discomforts, that he will aggravate an already sensitive area and cause more pain for many more days. The question of what do I do when my dog has hives begins simply by you getting calm so you can take control of this situation quickly. Your dog will only have the hives for one day if they are left to heal on their own. The problem is that you do will do anything to help relieve him of that itching skin. He will bite at the hives, he will scratch them, and he will rub against anything that will help him with his discomfort. That constant rubbing is exactly what he needs to stop. Your job is to stop that scratching immediately. Once the skin breaks open and starts to bleed, the infections begin to set in and you are going to be in for a lot more headaches than you ever anticipated. The end result is a skin infection, and it can be avoided. What do I do when my dog has hives? The answer is to stop him from scratching right now. Stopping a dog from scratching is like asking yourself to stop breathing. You may have to get creative but that is a far better choice than taking him to the hospital for an infection. One way to stop him from scratching is to purchase one of the cones that a veterinarian uses after a surgery to stop the dog from biting the area that was treated. These work well on an area he can not scratch with his paws. The cone will keep him from biting the hives. If the hives are on his neck or body he can reach them with his nails. One trick is to buy those dog mittens and strap them on for a day until he gets better. He may feel uncomfortable wearing them, but the alternative is much worse. You need to be on patrol for twenty-four hours and keep him from scratching. 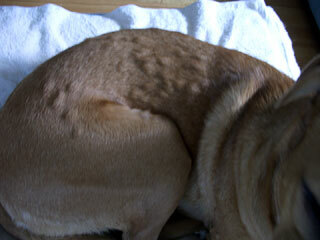 If you can do that you will see improved skin conditions by tomorrow and your dog will be rid of those hives. Related: Gastritis in Dogs, Sleep Deprivation in Dogs. The causes of hives in dogs can range from something he ingested to something that came in contact with his skin and was absorbed into the body. Medications and Vaccinations are also responsible for causing a dog to have an allergic reaction and break out in hives. These hives only last for a very short period of time but if your dog is uncomfortable and itches at them all day, you will be presented with a whole new set of problems when he gets a skin infection. Try a few of the following treatments for hives on dogs and you will not only make him more comfortable, you will lessen the time of the irritation and pain. If the dog is experiencing an extreme need to scratch the infected area, purchase an antihistamine from your local pharmacy. They carry a number of products that will work, including Benadryl. The antihistamine will also calm your dog down and make him sleepy, which will help to pass the time faster. Prepare a bath of cold water and allow your dog to soak in the water. Let the water flow over the hives to reduce the swelling and reduce the need to bite and scratch them. This is also a good opportunity to simply add a couple cups of oatmeal flakes to the water, they will aid in reducing any discomfort. If you can not get your dog into a bathtub, simply running cold water over him from the house will have similar results. Run him under the water for a minimum of fifteen minutes. 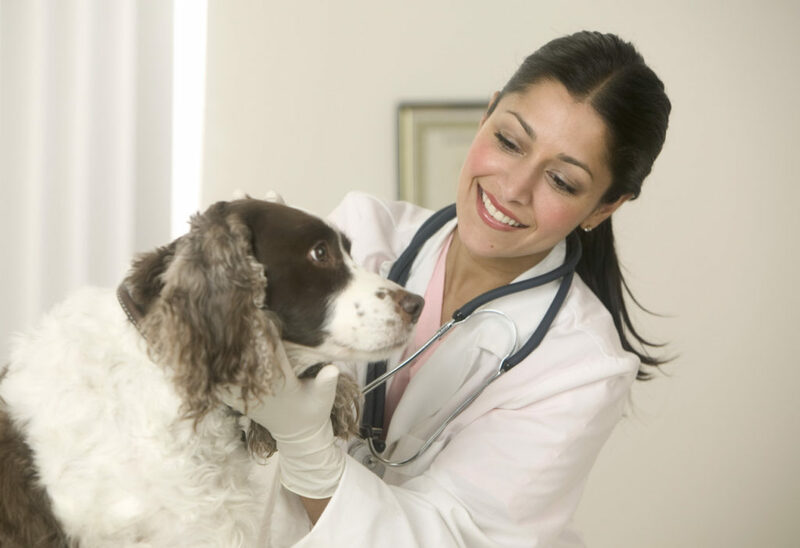 The best way to get immediate results is to call your veterinarian and schedule an appointment. Many times the doctor can identify the cause and offer suggestions for further treatments. If you are able to identify the hives in a confined area, apply some cold ice packs to the area to help with the swelling and with the need to scratch. These compresses work wonders and will calm your dog down significantly. If you do not have an ice pack a frozen bag of vegetables works the same. Cortisone is another topical treatment that can help with the itching and swelling. Sucralfate is a great way to treat your dog if you are sure that the source of the hives is from something he ingested. This medication will protect your dogs stomach lining until you can identify the source of the hives and change the food he eats. These simple treatments work well on hives in dogs because they stop the irritation and give to time to identify the origins of the allergic reaction. Number Of Dogs In The World?